Tee other thing that we have been sent is a new poster for the film. This one shows the new person in Alan’s Life and some of the other characters that inhabit the film. 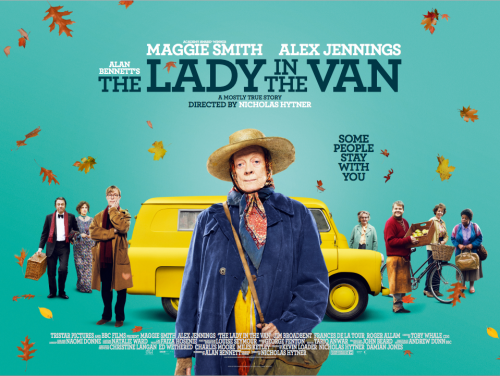 Lady in the Van tells the true story of the relationship between Alan Bennett and the singular Miss Shepherd, a woman of uncertain origins who ‘temporarily’ parked her van in Bennett’s London driveway and proceeded to live there for 15 years.